« My kingdom is not of this world. 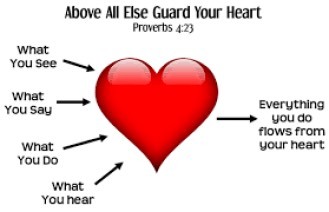 Guard your heart. For the ways and desires of life under the sun, harden ones heart. Take care. "Beware! Guard against every kind of greed. Life is not measured by how much you own." This entry was posted on October 22, 2018 at 6:37 am and is filed under One Walk. You can follow any responses to this entry through the RSS 2.0 feed. You can leave a response, or trackback from your own site.